Born in Edmonton and based in Montreal, Peter Sagar has been making a name for himself in Canadian music, playing guitar with Mac DeMarco and crafting solo work as Homeshake. He's now set to release In the Shower under that moniker next week, but you can give the LP an advance listen right here. 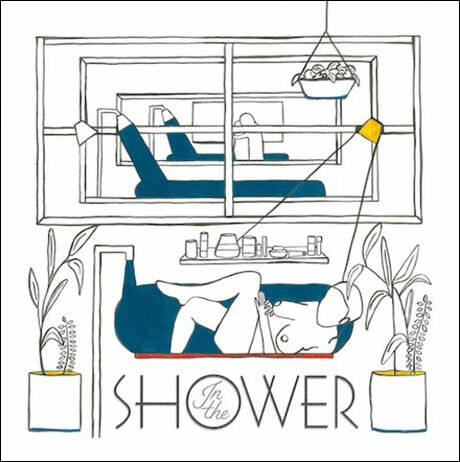 Following up The Homeshake Tapes, which featured Dragon Ball Z samples and a lo-fi grunge sound, the new record also draws from an eclectic mix of influences. Back in his high school days, Sagar won a Junior Jazz Artist of the Year Award, which may explain the return of "smooth bass lines and groovy, jazz undertones" on new tunes like opener "She Can't Leave Me Here Alone Tonight" and "Michael." Single "Cash Is Money" is another standout, with it's steady hi-hat beat and warbling guitars creating an off-kilter catchiness. Drawing on his icy Canadian roots, Sagar delivers a collection of "smooth, cool and relaxed" songs that were recorded last winter in Montreal with the help of his pal Mike Wright. And you can hear that full collection before it hits shelves on October 7 via Sinderlyn — just hit play below. As an added bonus, you can watch a pretty wild, new album trailer at the bottom of the page as well. TRAILER from Piter Sugar on Vimeo.